Whilst Canon has always had a good selection of high-end compact cameras in its range, think G10, S120 or more recently the G1 X, the new Canon G7 X is their first model to feature a 1-inch type sensor. It’s the same physical sensor size Sony has opted for in their RX100 series of premium compacts and boasts a similar 20.2Mp resolution, too. Just like the Sony RX100 III, Canon has also fitted the G7 X with a bright f/1.8-2.8 maximum aperture lens, with a 24mm focal length at the wide end of the zoom. Unlike the Sony model however the Canon G7 X’s lens offers a longer 4.2x optical zoom, equivalent to 24-100mm in 35mm terms, compared to the RX100 III’s 24-70mm focal length. Being able to maintain that bright f/2.8 maximum aperture at a longer 100mm is pretty impressive and the lens also offers 3 stops of image stabilisation. The new Canon G7 X doesn’t feature a built-in viewfinder however, so photographers are reliant on the tilting, touch-screen, 3”, 1.04m-dot, LCD screen for composing images. Whilst that might put off some enthusiasts, the customizable lens control ring on the Canon G7 X can be used to control aperture or shutter settings, which will appeal to those desiring more control. The all-metal body features an Exposure Compensation dial too, and there’s built-in wi-fi and NFC for sharing images more easily. 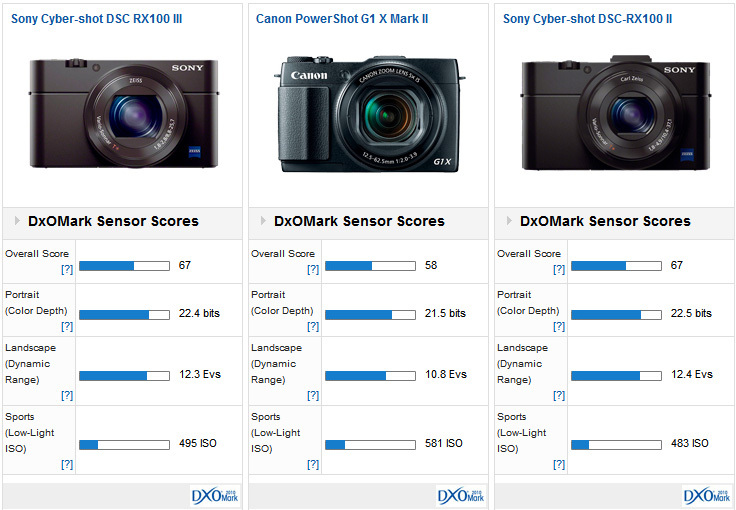 The new Canon G7 X records images in the RAW file format, as well as jpeg, and features Canon latest DIGIC 6 processing engine. There’s also burst shooting at 6.5fps, a 31-point autofocus system and Full HD video at 60p. 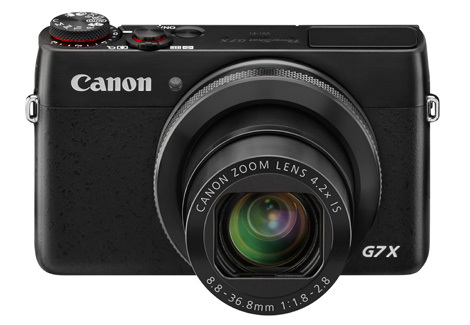 The new Canon G7 X will be available from October priced £580 / €720.